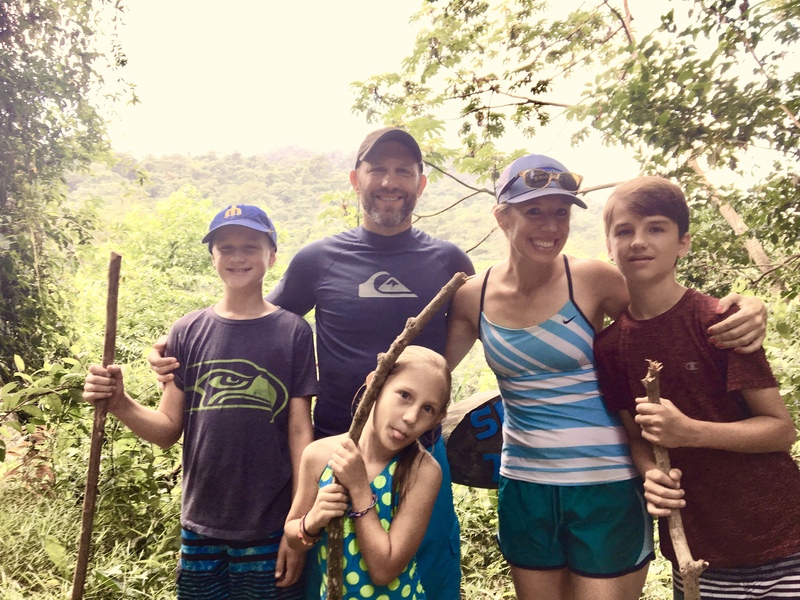 a blog about life as a missionary family at Loma de Luz Hospital; stories of humor, medicine in Honduras, adventures of life in a third world country, travel with kids, stories of faith and being a doctor; a sometimes irreverent journey. There are so many smells in a hospital. Most of them are not pleasant. Oh, there’s the occasional waft of baby powder from a newborn; A fleeting whiff of rich coffee from the Doctor’s lounge; or the rare aroma of something tasty from the cafeteria. But by and large, most odors in a hospital are repulsive. Many of the normally loathsome smells of a hospital are exponentially magnified when your location is the hot and steamy jungles of Honduras. Tame odors have the opportunity to marinate, baste and bake in 90 degree temperatures with 95% humidity, thus aumgenting the original flavors to something truly memorable. Take, for instance, the smell of last nights beans and tortillas, in the form of fresh, pungent, vomitus. This is particularly noxious when it has been spewed forth upon your personal garments. Or what about the forgotten bedpan of urine that was haphazardly shuffled under the gurney 4 days ago? This form of distillation can really showcase the rich hints of mango, coffee, and ammonia. I could go on, but I’ll spare you the details. On second thought, no I won’t. There’s the sickly sweet smell of rancid flesh, erupting with thick, purulent liquid that can be found in the wound care unit. Moving on to the Obstetric Ward, we have the briny scent of amniotic fluid that invariably showers those of us lined up to catch a baby. And later, the sharp tang of iron as blood coagulates on the hard, tiled floor. There are more subtle smells as well, such as earwax on a plastic speculum, halitosis, body odor, and wound cautery. And of course, there is all manner of human excrement. I could really devote an entire blog post going over the finer points of this category. As a Health Care Provider, you learn to immunize your nose to such unpleasantries, and over time nothing fazes you. But every once in awhile something special penetrates even the best fragrance defenses. The other day, I wasn’t very surprised when an unattractive bouquet wafted up to my nose. “Nasty,” I thought to myself. “What is it this time?” Did someone leave something yucky in my office? Or did someone have an accident? Is there some bit of rotting food that’s been lingering in my garbage can for a hair too long? Did a gecko die in a cabinet, and is now becoming ripe? I searched for a short time, and quickly identified the culprit. I am slightly embarrassed to say (who are we kidding, no I’m not) that it was coming from me. Now, my friends who really know me are going to be shocked, because I always smell really good— all the time. I mean, 40% of the time, I smell 100% awesome. There are no bad smells that ever emit from me. Everything that leaves my body smells fantastic. Even after I eat, say, a giant Pullman, Washington calzone full of garlic, I still smell good. But anyway, just this one time, it turned out that I was personally responsible for this egregiously bad odor. You have to understand that most forms of leather, as it pertains to footwear, don’t fare too well down here (it molds). And canvas is not very durable, and soaks up blood and other fluids that happen to fall on it (see above). So rubber is really your best bet, and so most of the docs wear “Crocs” down here. And so, yeah, my feet really stunk. She has a condition called transposition of the great arteries, which is where one is born with the giant arteries of the heart connected in the wrong spots. Because of this, the blood bypasses the lungs and does not get oxygenated, so a baby will die immediately. However, If they happen to have some other abnormalities such as a hole in the wall of the heart, they can actually live a bit longer. In the United States they usually have surgery within a couple months of being born, or sooner. If not, they will die at a very young age. Carolyn is 4 years old, and the fact that she was still alive to be able to come into our hospital that night was already amazing. She had been evaluated already by a Cardiology brigade from the States, and deemed a poor candidate to try to transport to the US and do life-saving surgery. And so, it has been a foregone conclusion that one day she was going to walk in the door of our hospital in heart failure, or with a blood clot in her lungs, and die. When she came in the other night, I was quite convinced that this was the end for her. As per our usual routine, once the alarm was sounded that there was a life-threatening situation in the Emergency Department, a stampede of doctors and nurses scrambled into the emergency department, and aggressive treatment was begun. Oxygen. IV’s. Monitors. Medications with big names. Eventually, more advanced treatment was needed, such as CPR and eventual intubation/ventilation. At this point, knowing the mortal heart condition that she had, I had pretty much given up. But we have a motto at our hospital, ‘Dios Obra Aqui,’ which means ‘God works here,’ and sometimes I have to remember that He is God and I am not, and He sometimes has purposes that I don’t understand. Blessedly, at the urging of some of the other doctors, we kept treating her aggressively and lo-and-behold, she recovered. And she stayed alive, and kept staying alive over night. And then she started to wake up and talk again, and then eat. And I saw the way her father and step-mother loved on her, and wept for her when they thought she was dying, and realized that God was giving them a sweet little gift of a bit more time with her. She still is not long for this world, but her family has a reprieve of their sorrow, a little more time with her to hug her and tell her they love her, before she is embraced in the arms of Jesus. I continue to relish being proven wrong, as a doctor, in these instances. Above, Jack the monkey was pestering me. And then, Jack was pestering Will. One of the Honduran nurses loaned me her hair… I be Jammin’!! I shot this Permit off our reef, with my good buddy Dr. Peter. So Tasty!! Easter Sunday, sunrise service overlooking the Sea. It was a lovely morning remembering the reason for our hope. Above, this is a great example of how gracious the Honduran people are. This sweet lady is not an employee, she is one of our patient’s relatives. As she was attending to her mother in the hospital, she wanted to help out. She is sitting at a desk making Gauze packets! The following few pics are along the Rio Cangrejal, a beautiful river that spills into the Caribbean Sea. We swam and had adventures in the lush and humid jungle, one weekend. missionary girls, heading to school in the truck. Remember when you could go somewhere in the back of a pickup? Carolyn’s story is amazing! Thank you for sharing! And what amazing photos also!